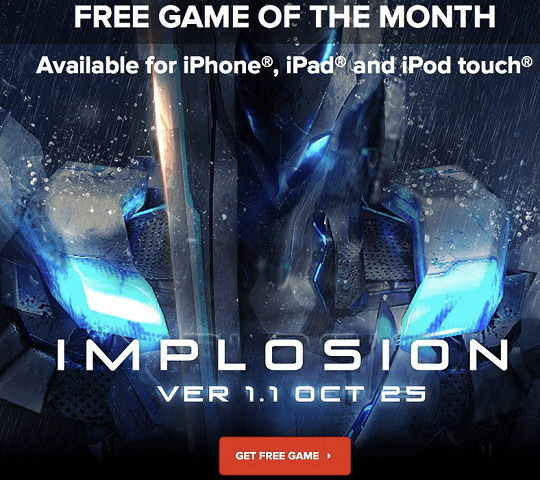 Implosion – Never Lose Hope is an action game that’s sells for $9.99 at Apple app Store, but this top-rated (4.5 stars based on app store reviews) game is available for free as part of IGN Free Game of the Month promo. 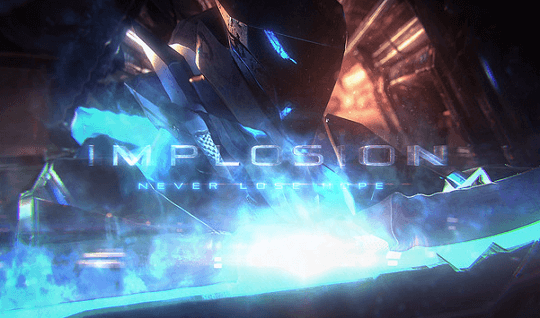 Implosion – Never Lose Hope developed by Rayark Inc is actually an console-grade hack and slash game, the game offers top notch visuals, RPG-like progression, great audio and controls, the game supports ‘Made for iOS’ (MFi) and Game Center controllers. Also the game progress can be saved to iCloud,so that it can be synced to your other devices. Implosion – Never Lose Hope game was released in April 2015, the game was featured as Editor’s Choice game by the Apple’s editorial team on the App Store . More over the game holds four and a half stars rating based on 940 plus reviews on the App Store. Game play of ‘Implosion – Never Lose Hope’ is a pretty standard hack-n-slash, set within the cyberpunkish backdrop. The player’s Mech-suit is controlled via a virtual stick and a bunch of buttons. It levels up and may be upgraded by installing special libraries that may be found throughout the levels, or can be bought from the app store. The Mech-suit features a main melee weapon, and a bunch of long-range weapons that are quite difficult to aim properly. The melee weapon has a relatively simple, but varied enough combo system, as well as several special abilities that can be activated in the time of need. The enemies are pretty distinct and have completely different behavior and attacks, and need some ability to kill – particularly if the player needs to get the perfect score after beating the level. How to get Implosion – Never Lose Hope Game for Free ? First from your iOS device or Mac, visit this Promotion page on your safari browser. Next, tap on the ‘Get Free Game’ button to view the promo code. You either tap the promo code to redeem the game or manually copy & paste the code on App Store Redeem section. Note : This Promo is available in the following 57 countries : India, Algeria, Armenia, Australia, Austria, Bahrain, Belarus, Belgium, Brazil , Canada, Chad, Denmark, Egypt, Finland, France, Germany, Greece, Hong Kong, Indonesia, Ireland, Israel, Italy, Jordan, Kazakhstan, Kuwait, Lebanon, Luxembourg, Malaysia, Mexico, Netherlands, New Zealand, Nigeria, Norway, Oman, Pakistan, Philippines, Portugal, Qatar, Romania, Russia, Saudi Arabia, Singapore, South Africa, Spain, Sweden, Switzerland, Taiwan, Thailand, Tunisia, Turkey, Ukraine, United Arab Emirates, United Kingdom, United States & Vietnam.